As he crumpled to the ice in pain, the winger usually known more for his speed and skill found himself nose-to-nose with another David Pastrnak one-timer that could have gone anywhere -- including off his face. "There's dentists for a reason," Marner said after Tuesday's practice. "Lucky enough it didn't hit me in the face." "Just tried to starfish on him and take up as much (room) as I could," added Marner, who was mobbed by teammates spilling off the bench in celebration. "I was so close I didn't think (the shot) was really going to get up too much. Just kind of sprawled my arms out." "Pretty good example of it right there," Muzzin said. "Just a guy doing whatever it takes to keep the puck out of the net. We need everyone with that mentality and that mindset. "It was awesome to see." "They're a challenge to go up against. They bring a lot to the table," Marner said of his defensive responsibilities in the series. "It's making sure we're being smart with the puck." Pastrnak, Marchand and Bergeron combined for 30 points in Boston's seven-game victory over Toronto last spring, but only have six at even strength so far in this series --including just two at 5-on-5. "You're aware of what they do well, and what makes them unique as a line," said Tavares, who is 53 per cent against Bergeron on faceoffs, and 59 per cent overall in the series. "You can't take a second off." "They play hard," he said. "Muzz can really move the puck and (Zaitsev), we think, closes faster than anybody on our team. "Then obviously, each guy up front has a different skillset." 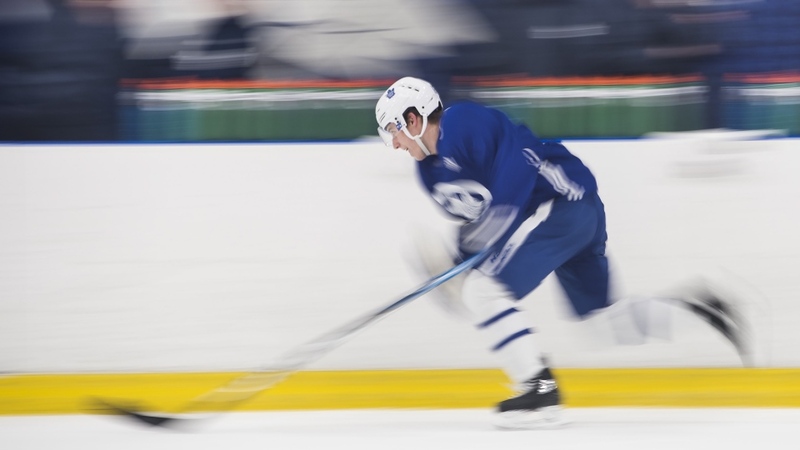 "The first two years, I was, I think, a little bit cheating more for offence, trying to get more odd-man rushes," said Marner, now also a key penalty killer. "I'm realizing that ... you've got to stop people in your own zone. "You'll get your chances offensively from that." "To do what he did his first couple of years with the amount of spotlight that's been on him is pretty impressive," said the 28-year-old. "But once you're around him every day and playing with him game in, game out, there's always times that he wows you."